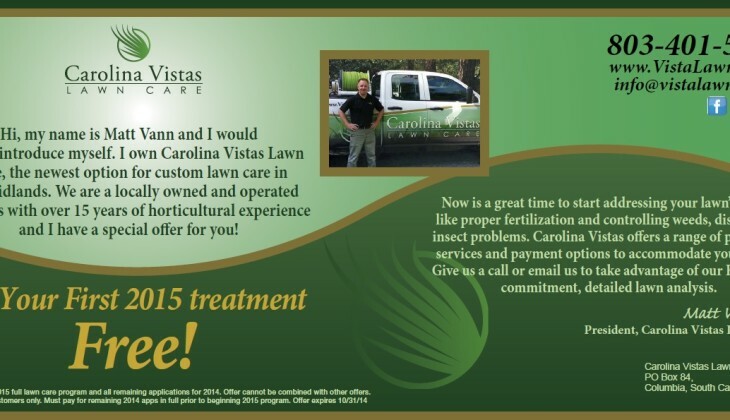 Fall Lawn Care Special – Start 2015 with a Free Lawn Treatment! 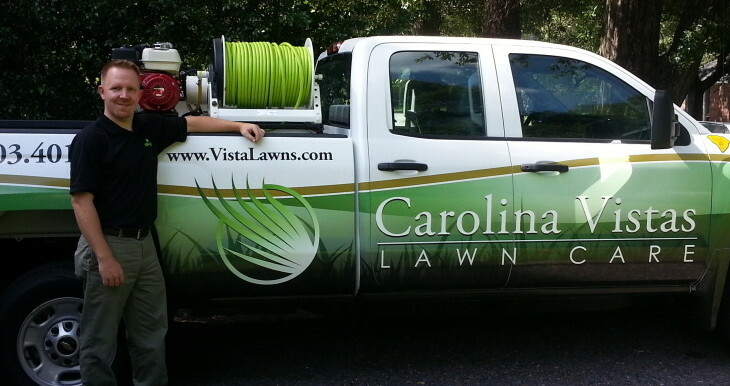 Carolina Vistas is extremely knowledgeable about lawn care, from feeding lawns to controlling unwanted weeds and insects. As important as that is, without the friendly, accommodating service I would not have stay with this company throughout the process, and would definitely not have signed on for another year. I would refer Carolina Vistas to friends. Matt is knowledgeable about lawn care. He has taken courses on turf management and keeps abreast of current studies. He uses quality lawn products. After using the big guys for several years we decided to give Carolina Vistas a try. Our yard has never looked better, and we appreciate the professional attention we have gotten from them.